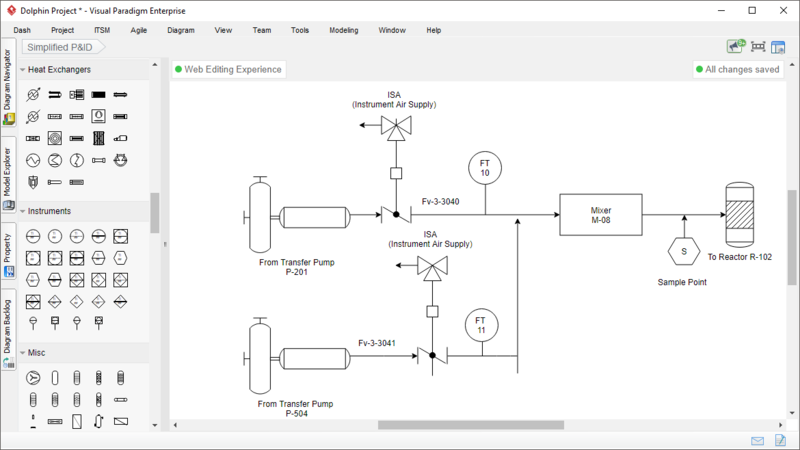 Accelerate your piping and instrumentation diagrams (P&IDs) design process with Visual Paradigm, an easy-to-use piping and instrumentation diagram software. Start and finish in quick with the use of a piping template. 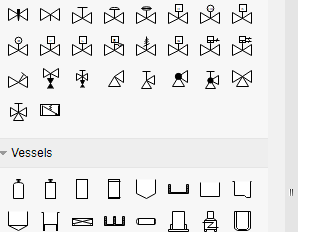 A rich set of high-quality P&ID symbols are provided to help you create your own P&ID diagram for any industry, business domain and purposes. 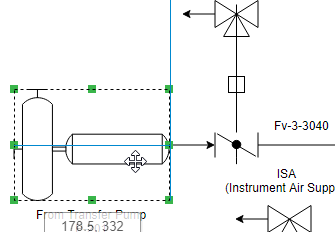 Without no doubt, Visual Paradigm is the best P&ID tool. 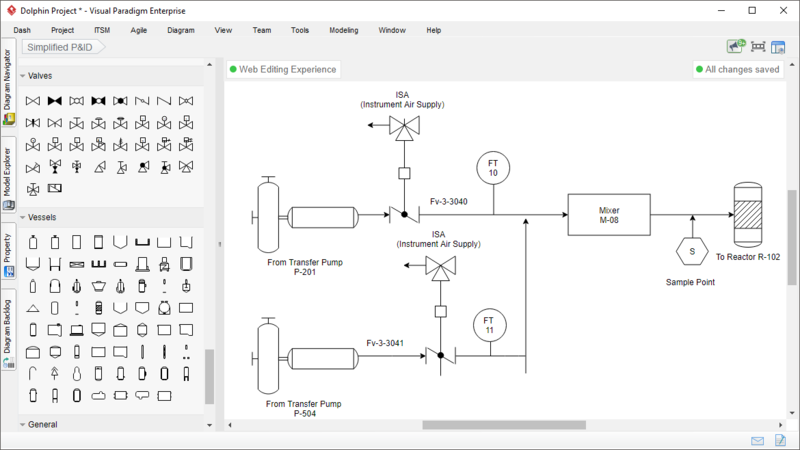 Create professional P&ID diagrams with an abundance of piping and instrumentation diagrams symbols. 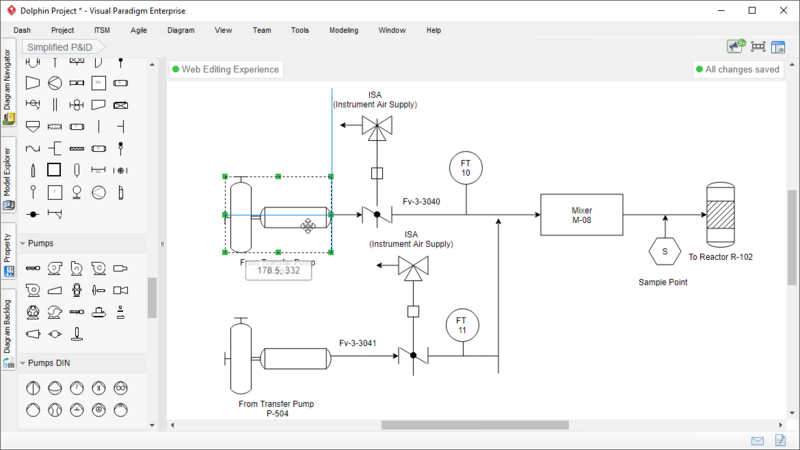 Our P&ID diagram makes sharing of design effortless. 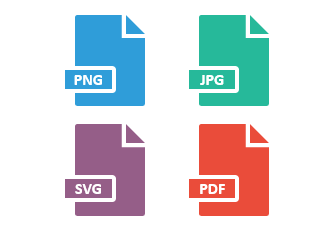 You can export your drawing to JPG, PNG, SVG and PDF and share the result with your co-workers, partners and friends.